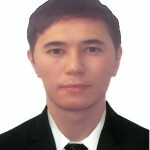 Hozhan Serik was born 29.05.1987 g.
He graduated from Karaganda state University.E. A. Buketov in 2011, majoring in basic military training. In 2016, he entered the master’s degree in Physical culture and sports at Karsu.After E. A. Buketov. СПОРТ ЖАТТЫҒУЛАРЫНЫҢ ДЕНЕ ТƏРБИЕСІНДЕГІ ФИЗИОЛОГИЯЛЫҚ МЕХАНИЗМДЕРІ.